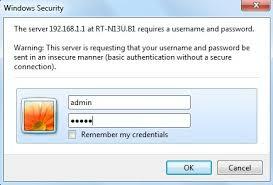 In order to access your wireless router admin page, you need to login using a username and password. All routers come with a default username and password. In most cases, the default username and password is same for devices made by the same manufacturer. These factory-set passwords help you access your settings, network configuration and Wi-Fi through the Internet browser. If you need to know what is default username and password for the router you are using, then read on. Most of the factory set passwords and usernames for a router are printed on the device itself. Just pick up your device and turn it over. You will find the default username and password printed just below or near the default IP address. Use this information to access your router admin page. There are plenty of manufacturers of router devices and each one has a different username and password. However, we will enlist a few of the most popular router devices usernames and passwords. If these username and passwords don’t work, it may be because many routers have different defaults for different models. You can check the manual that comes along with the device for default settings or else search the Internet and find the default username and password for your specific model. With the help of these default username and password, you can access the admin page and customize the router settings as per your needs. Punya aku masuk nama admin sandi admin gak bisa katanya salah. I tried everything what i've search in the internet and the back of my modem but, i still can't log in. It says that my user name and password may be wrong. And ask also the website of the seller of my modem but still their answers are all wrong, what should i do? What should i write? Can you help me?